Yesterday, two days after my birthday (what a sweet little birthday present!) we had the precious chance to see baby #6 through the magic of an ultrasound. The baby was happy, healthy, heart beating fast and lovely ….and it was just delightful to see the little baby moving about! 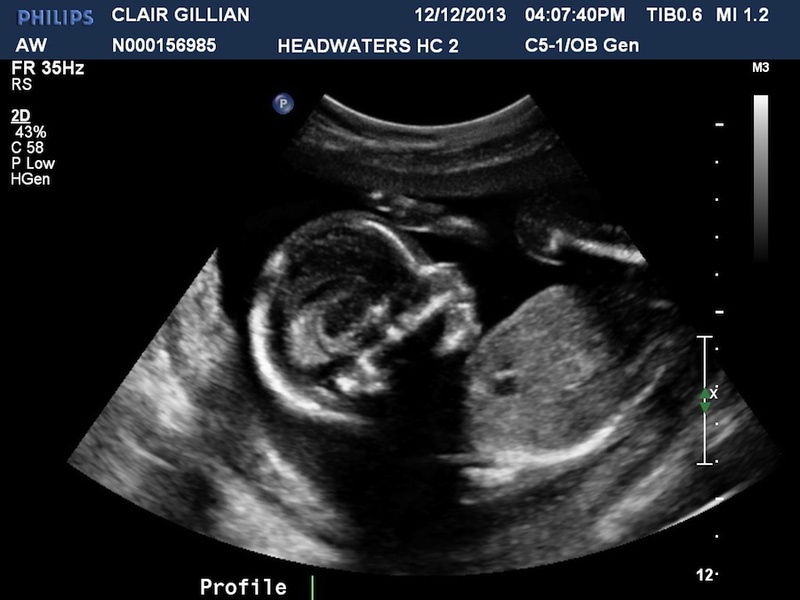 And did we find out the gender …? Will it be a boy after five girls? Or another girl to add to our lovely sisterhood? Amie – I guess boy! The odds of another girl are too slim! lol! Courtney – Adorable! My guess is another girl! Heather Vanderkruk – So wonderful! Dana Murray – Congratulations 🙂 so exciting. Hope to see you soon. Pass by the shop after church one weekend with the girls. Jen Heemskerk – I’m guessing another girl! Because you make lovely girls! I do hope that one day you will be able to experience being a mother to son…there is a HUGE difference and raising young men is also an honour! Tawnia – Congrats on your family growing again <3 Glad all is well!